An extremely high opacity matt emulsion, ideal for new plaster. The permeable film allows the surface to breathe and dry out. Suitable for walls and ceilings. Recoatable after 2-4 hours. Approx coverage 13m2 per litre. 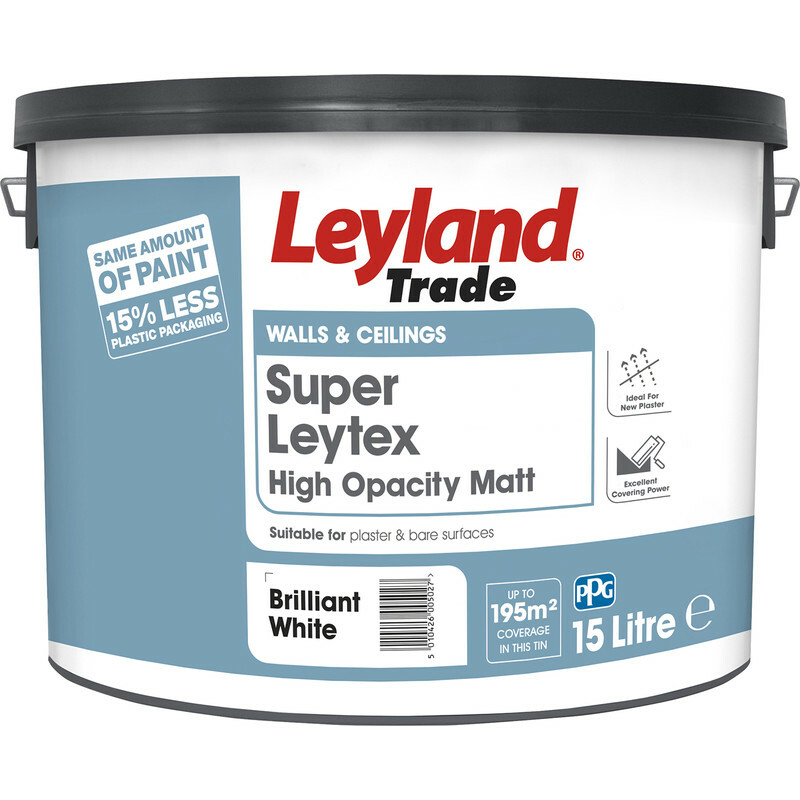 Leyland Trade Super Leytex Matt Emulsion Paint Brilliant White 15L is rated 3.3 out of 5 by 3. Rated 5 out of 5 by BobToo from For the trade This is a great product for the trade. Good opacity, great time saver. Vastly better than the contract stuff. Good on new plaster. If your a DIYer I would suggest a 15” tray n 12” roller to get best results and quick coverage.